NEW CITY, NY – A citation for numerous violations of the Rockland County Sanitary Code has been issued to the owners of a Spring Valley house that was heavily damaged by fire this week, according to Rockland County Executive Ed Day. The Rockland County Department of Health inspected the home at 42 Prospect Street hours after a fire broke out early Tuesday morning, forcing six people to flee. Health department inspectors posted notice that the residence was unsafe and could not be occupied. The Department of Health issued a total of seven violations to property owners Jean and Marie Chatelain. A formal hearing on the charges has not yet been set. The county’s Rockland Codes Imitative targets unsafe rental housing and provides a way for residents to report possible safety hazards. When inspectors went to 42 Prospect St. after they fire, they found that the three-story home had been illegally subdivided into four apartments. The owners apparently lived in one apartment and rented the other three. The attic apartment, where the fire apparently started, did not have the required second exit or a smoke detector or carbon monoxide detector. A basement apartment had an air conditioning unit blocking a window, which also violates the Sanitary Code because it prevents an occupant from getting out during an emergency. The owners are also being cited for failure to register with the Rockland County Rental Registry, among other charges. The Rental Registry requires owners of dwelling with three or more units to register on-line with the Rockland Department of Health and to provide a certificate of occupancy and other information. It has been more than three months since the Rental Registry went into effect. County Executive Day reminds landlords that they must register or face fines up to $2,000 per day. The County Executive thanked the Department of Health for acting so quickly to inspect the property. He also praised the work of the volunteers in the Spring Valley Fire Department, who put out the early-morning blaze. 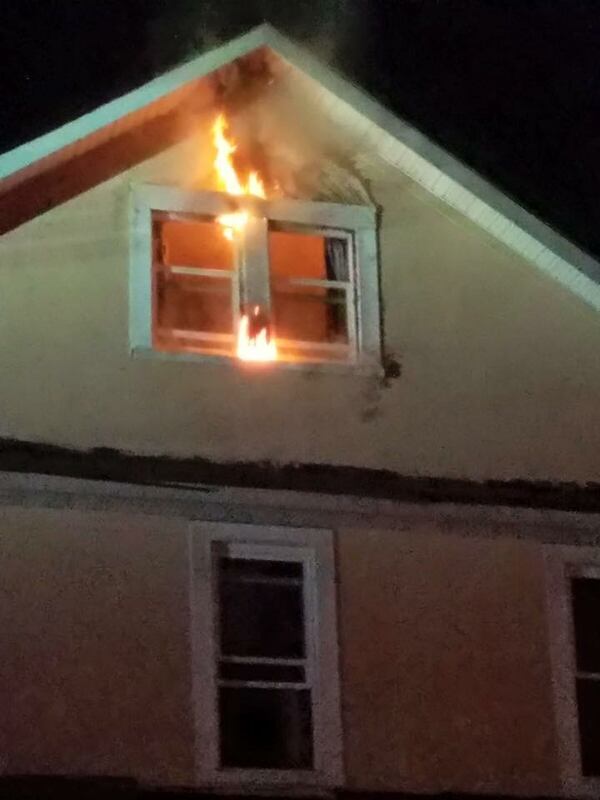 “Fire Chief Ray Canario and his firefighters prevent this fire from becoming a tragedy,” the County Executive said. For information on the Rockland Codes Initiative, including a confidential online complaint form, go here. For information on the Rental Registry, including the online registration site, go here.